When I saw Ruby Wing polishes in my local Sally's I was soooo excited, I grabbed all of the ones they had in stock and literally skipped all the way home. 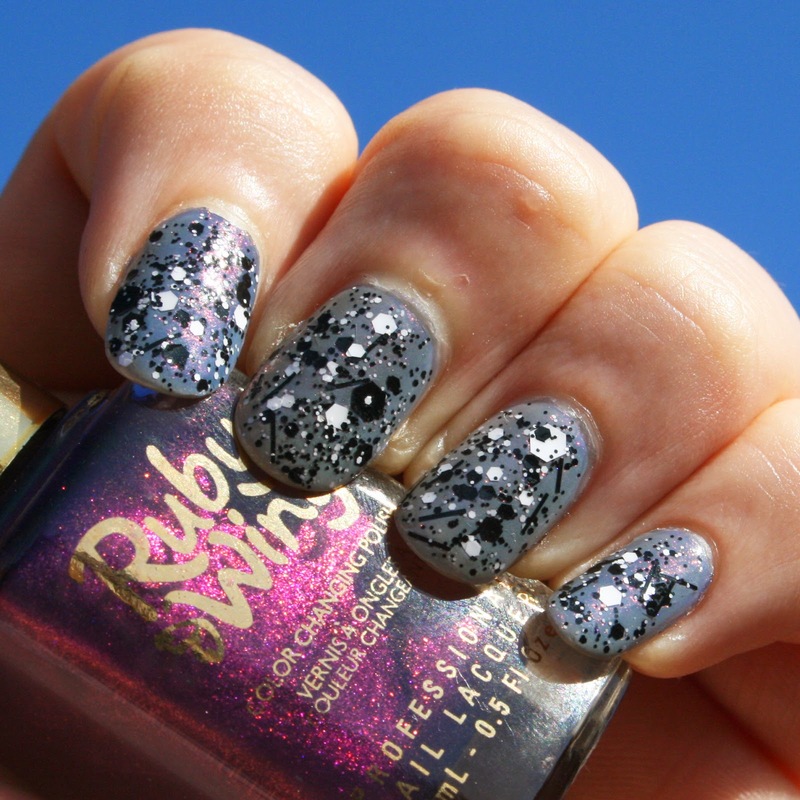 If you don't know, Ruby Wing polishes are colour changing and scented, they react to UV light, so are one colour indoors and change in the sun when you go outdoors, the light through glass is also enough to activate the change as well. I decided to try out Sweet Cream first out of the ones I got as I thought it'd make a fun layering polish, I wasn't wrong as you can see below. The photo shows the colour change as it goes from light to dark, it's pretty awesome. For this combination I started with two coats of Sally Hansen's Complete Salon Manicure Ivory Skull which is my white of choice right now, then two of Ruby Wing Sweet Cream, and then on top of that one coat of Boots Seventeen Monochrome. 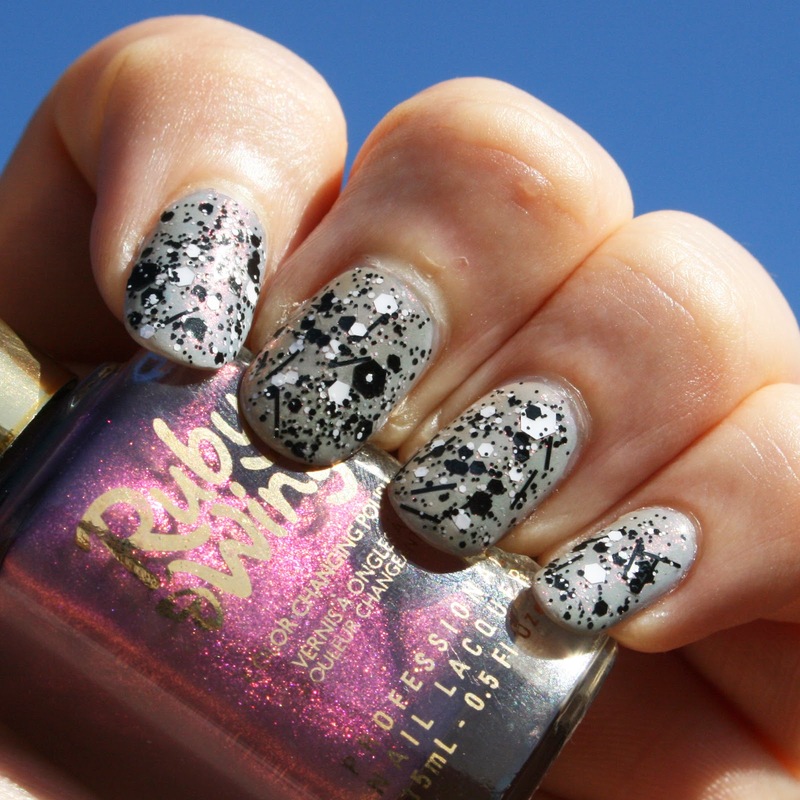 My idea was that indoors my nails would be white (or off-white as it turned out), and that the black glitter would show up along with the pretty pink shimmer in Sweet Cream. Then outdoors, it'd be the opposite, it'd be dark grey and the white glitter and shimmer would be what's seen. I couldn't get enough of watching the colour change, it happens so quick and changes back just as quickly. It's a shame it doesn't turn completely black, but I still really like the blue toned grey and the pink shimmer works really well with it. The scent of this is quite nice, it's a sweet sugary smell, and I didn't mind it at all, although I wouldn't want to been seen sniffing my nails in public, it was another fun element to this manicure. 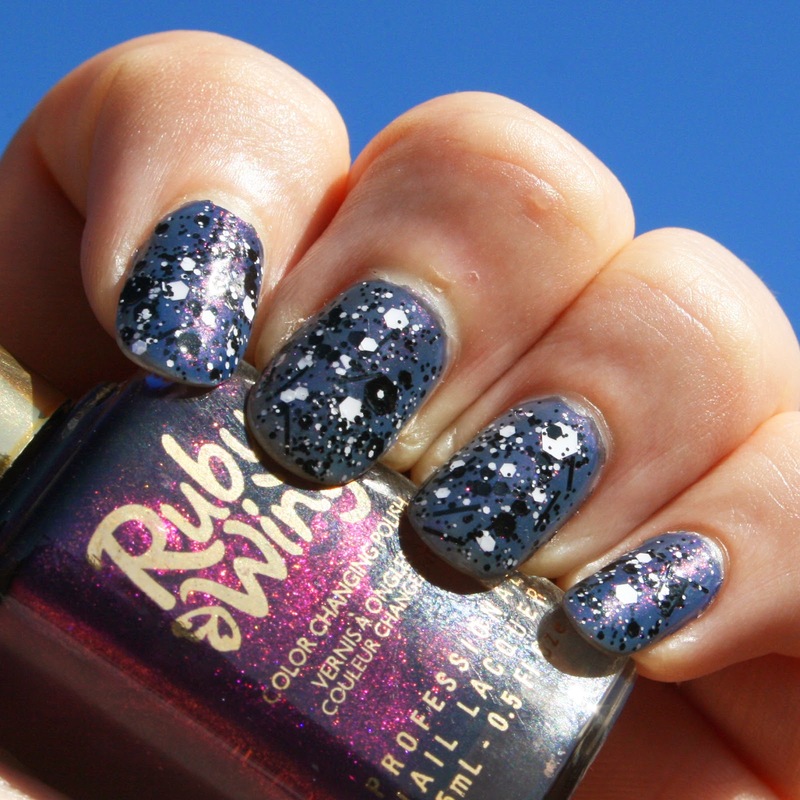 Have you picked up any of the Ruby Wing polishes, and what do you think of colour change polish?